About the speaker: Mary Miller, Sterling Professor of History of Art, has served as dean of Yale College since December 1, 2008. Prior to assuming the deanship, Miller served as master of Saybrook College for nearly a decade, and before that chaired the History of Art Department for six years. Dean Miller received her degrees from Princeton and Yale, and for thirty years has been a national leader in the study of the ancient New World, receiving both a Guggenheim Fellowship and membership in the American Academy of Arts and Sciences. A curator and scholar, Miller most recently curated The Courtly Art of the Ancient Maya at the National Gallery of Art, Washington, D.C. in 2004; in 2010 she delivered the Fifty-ninth A W Mellon lectures at the National Gallery of Art. She is scheduled to deliver the Slade Lectures at Cambridge University during the academic year 2014-2015. Among her books are The Courtly Art of the Ancient Maya (with Simon Martin), The Aztec Calendar Stone, co-edited with Khristaan Villela, The Murals of Bonampak, The Blood of Kings (with Linda Schele), The Art of Mesoamerica (5th edition, 2012), Maya Art and Architecture, The Gods and Symbols of Ancient Mexico and the Maya (with Karl Taube), and A Pre-Columbian World (co-edited with Jeffrey Quilter). 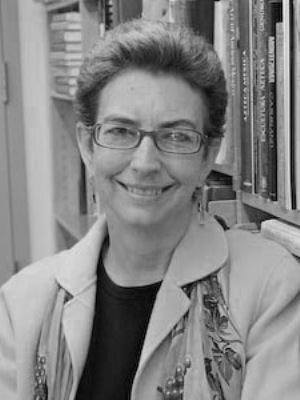 Her new work on Bonampak and on a 16th century map at Yale’s Beinecke Library will be published in 2012 and 2013. Deputy Dean Joseph Gordon, three Senior Associate Deans, and seven Associate deans report to Dean Miller, encompassing the offices of student affairs, academic affairs, and the Center for International and Professional Experience, as well as the Science and Quantitative Reasoning Center, the Writing Center, and Programs in the Arts. Additionally, Dean Miller serves as cognizant dean for the 24 programs and departments in the humanities. As dean she has worked to establish programs that promote interdisciplinary and international study (Global Health Fellows; Global Affairs major). To prevent sexual misconduct, the Yale College Dean’s Office has developed a comprehensive education program. Based in her work with chairs and directors of graduate studies in the humanities (and humanistic social sciences) she led the efforts to secure a $1.8 million award from the Mellon Foundation for an “Integrated Humanities Program” for Yale doctoral students in May 2012.